Sunshine tyre shop is renowned for selling used/second hand car tyres in Sunshine. We stock a wide range of high quality and cheap tyres for different vehicle. You can find tyre for different types of car at the lowest prices. Besides providing complete wheel alignment, tyre repairing and other inspection service, we also provide high class used car supply services in and around the region. We have a great reputation in the region because our services are exemplary and unique. We take good care of our customers and provide them complete peace of mind. We know that it is quite expensive to purchase a brand new car tyre that is why; we provide different types of used car tyres to our customers. We are an independent and reliable car tyre dealer in Sunshine. We have access to any brand of tyres on the market; you can contact us any time according to your needs. We have years of experience and expertise in the industry. We also have our own tyre specialists who have the expertise to help you to select the best type of tyres for your car. If you are on budget, don’t worry, we will help you. We are always there to find new ways to save money. You can rely on us in your difficult times. Car owners know us and contact us to save huge money. 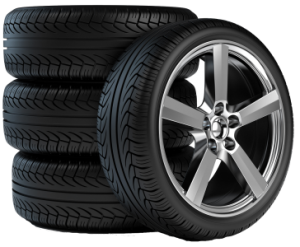 If your tyres are worn out or you need replacement tyres, then also you can contact us. We have a great amazing selection of cheap second hand tyres that are of good quality.